Explanation: The eggs from this gigantic chicken may form into stars. 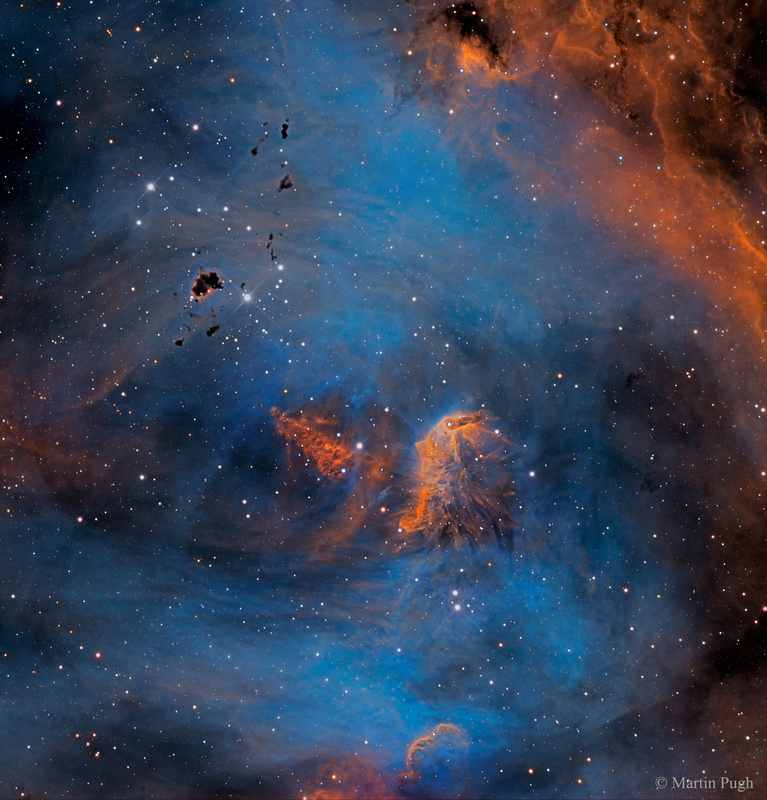 The featured emission nebula, shown in scientifically assigned colours, is catalogued as IC 2944 but known as the Running Chicken Nebula for the shape of its greater appearance. Seen toward the top of the image are small, dark molecular clouds rich in obscuring cosmic dust. Called Thackeray's Globules for their discoverer, these "eggs" are potential sites for the gravitational condensation of new stars, although their fates are uncertain as they are also being rapidly eroded away by the intense radiation from nearby young stars. Together with patchy glowing gas and complex regions of reflecting dust, these massive and energetic stars form the open cluster Collinder 249. 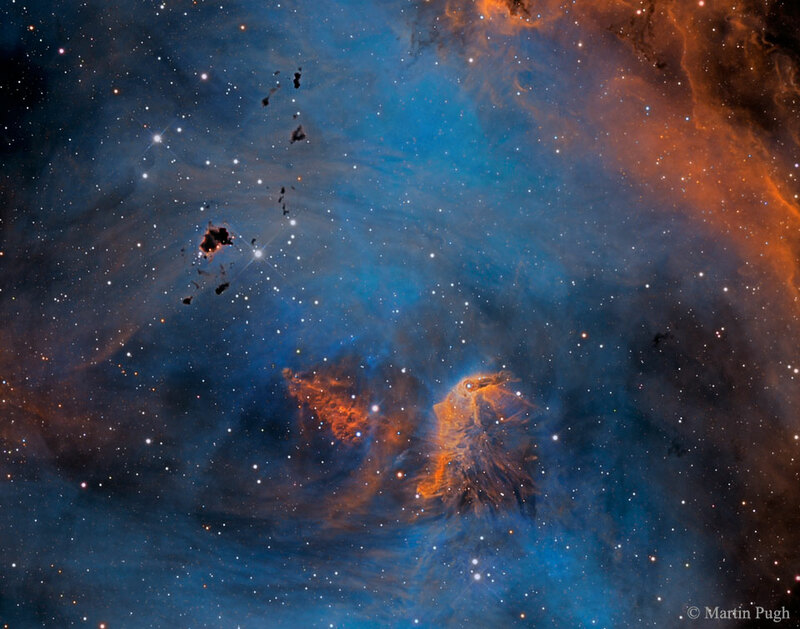 This gorgeous skyscape spans about 60 light-years at the nebula's estimated 6,000 light-year distance.